It is no exaggeration to say that the astounding development of IT continues daily to be a great blessing for all of us. As introduced in the industry-specific content on our firm’s specialist design website (http://design.ip-kenzo.com/industry/it/), the scale of the market for the IT industry grows every year, with an average annual growth of 1.1% between 2014 and 2019. In 2019 the scale of Japan’s national ICT market (a combination of the IT and communications markets) is expected to reach 25,537,500,000,000 yen. In such a large scale market, enterprises are likely to make use of and manage some sorts of “names” regarding their many products and services. With the development of IT, we can see those “names” at any time and in any place. As enterprises move their business forward, by protecting the names of their products or services using trademarks, they can not only seek to protect trust in the professional use of said names, but also benefit consumers by making it clear to them which enterprise is responsible for producing or providing a product or service, and the type of quality they can expect. “HARAKENZO more” hope that this page will show how important it is for IT enterprises to make use of registered trademarks, and moreover serve as a useful resource. The IT industry can be broken down into four subindustries: hardware, software, internet and information handling. Below, we will introduce for each subindustry examples of goods and services for which trademarks can be used. Class 9: cell phones; smartphones; laptop computers; accumulators, electric; semi-conductors; etc. Class 42: consultancy in the design and development of computer hardware; information technology [IT] consultancy; etc. Class 9: computer programs [downloadable software]; computer programmes [programs], recorded; computer operating programs, recorded; etc. Class 42: computer software consultancy; computer software design; maintenance of computer software; information technology [IT] consultancy; etc. Class 35: on-line advertising on a computer network; providing business information via a web site; retail or wholesale services for printed matter via the internet; etc. Class 42: providing search engines for the internet; information technology [IT] consultancy; etc. Class 9: cell phone programs downloadable via the internet; downloadable smartphone and personal digital assistant [PDA] programs; etc. Class 35: retail or wholesale services for downloadable images; etc. Class 38: communications by telephone using internet access; transmission of electronic mail; transmission of sound/image/text data; providing access to the internet; etc. Class 41: providing images or animated video of characters using the internet or computer networks; etc. Class 42: construction of social networking systems via telecommunications networks or fiber optic networks; computer system design; providing information on computer technology and programming via a web site; web site design consultancy; information technology [IT] consultancy; etc. Class 45: on-line social networking services; social introductions; creating social networks on-line; etc. As shown above, similar goods/services may be used across different industries. For example, “information technology [IT] consultancy” is contained in class 42, and is considered a common service across all four industries. As the industries are similar, it is extremely important to acquire trademark rights in order to avoid inadvertently infringing another party’s rights. Next, we will provide concrete explanations of important points, using examples of cases and litigations in the IT industry. In this case, goods bearing the logo of the lollipop brand Chupa Chups were sold without permission on the internet shopping mall website Rakuten Ichiba. In response, the Italian enterprise managing the right brought litigation against the website operator Rakuten on the grounds of trademark infringement. The first trial at Tokyo District Court found that the seller of the trademark-infringing goods was not the website operator Rakuten, but the user selling the goods via the website. Rakuten merely provided a platform for the selling of goods, and therefore was not deemed guilty of trademark infringement. However, the subsequent decision of the IP High Court, while basically supporting the decision in the first trial and rejecting a request for an injunction or damages, suggested that there was the potential that the defendant had to a certain extent aided with violation of the trademark law. In this case, though, eight days after the trademark-infringing goods were brought to Rakuten’s attention, the seller’s page was deleted, and due to its quick response, Rakuten was not deemed to have aided violation of the trademark law. As this case shows, responsibility for trademark infringement may potentially extend to the operator of an online shopping mall. In this case, the British Sky Broadcasting Group (BSkyB), known for its subscription-based satellite broadcasting service, brought litigation claiming that Microsoft’s SkyDrive infringed its trademark. There is the possibility that “the average user” would understand clearly that SkyDrive is a Microsoft service. However, in this litigation, multiple examples were given in which SkyDrive was mistaken for a BSkyB service. 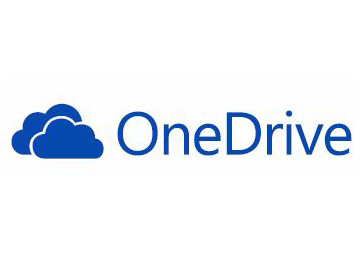 Previously, Microsoft had used the names “Windows Live SkyDrive” and “Microsoft SkyDrive,” but several years before this litigation, it had begun employing the name “SkyDrive” on its own, which is thought to have led to the confusion. In the always-growing IT Industry, the importance of trademarks as a way to support brands and protect a broadening range of goods and services has in recent years increased significantly, as the industry itself continues to develop. At HARAKENZO WORLD PATENT & TRADEMARK, we aim to be of service to those in the IT Industry seeking to protect their intellectual property. “HARAKENZO more” would be delighted to assist you in any way. Please feel free to contact us with any questions.